12 VOLT PORTABLE BEVERAGE HEATER heats your beverage in minutes! Just pour your beverage into a cup. 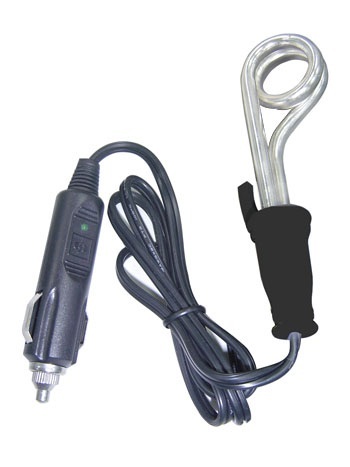 Immerse heating element so the coil is below the surface of the liquid. Be sure the clip is over the container's lip. Plug lighter end into the vehicle's cigarette lighter socket.